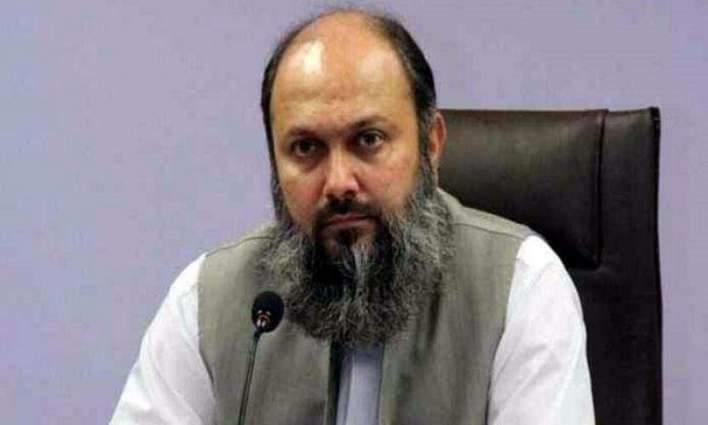 QUETTA, (UrduPoint / Pakistan Point News - APP - 16th Apr, 2019 ):Chief Minister Balochistan, Mir Jam Kamal Khan Tuesday urged Pakistan Cricket Board (PCB) to take steps for promoting cricket in the province and enhance talent of local players. He expressed these while talking to a delegation of Pakistan Cricket Board led by PCB's Chairman Ehsan Mani called on him at his office, said press release issued here. Provincial Ministers including Mir Naseebullah Marri, Muhammad Khan Lehri, Federal Secretary Akbar Hussain Durrani, Senior Member Board of Revenue, Secretary Sports and Balochistan Cricket Association (BCA)'s members were present on the occasion. Provision of cricket activities and other matters of sports came under discussion during meeting. The chief minister said young players could be prepared for national team when we would take measures with cooperation of PCB to establish cricket academy at district level for providing opportunities of training facilities by coaches for enhancing their talents. Jam Kamal said incumbent government was interested in promotion of sports because we would not invest in field of sports than standard of sports could not be improved in the areas. He mentioned funds would be allocated in upcoming budget for construction's project of District Sports Complex in order to uplift sports activities in province for betterment of local players. "Quetta Gladiator's owner Nadim Umar and Sponsor Engro Company has promised to establish cricket academy in Quetta for encouraging local players in cricket sports", he said. The Chairman PCB appreciated stance of Chief Minister Balochistan for taking keen interest in sports and to promote sports activities for ensuring better future of young players. He also assured Chief Minister Balochistan that PCB would ensure provision of funds for coaching facilities at district level in order to promote cricket in Balochistan. Chief Minister Balochistan Mir Jam Kamal Khan also announced funds for installing of lights at Akbar Bugti Stadium Quetta and provision of land for construction of Cricket Academy on the occasion.